Charcoal and gas grills are designed for outdoor use only. However, the National Fire Protection Association reports that more than one-quarter (27 percent) of home fires started by outdoor grills began in a courtyard, terrace or patio, and 29 percent started on an exterior balcony or open porch. 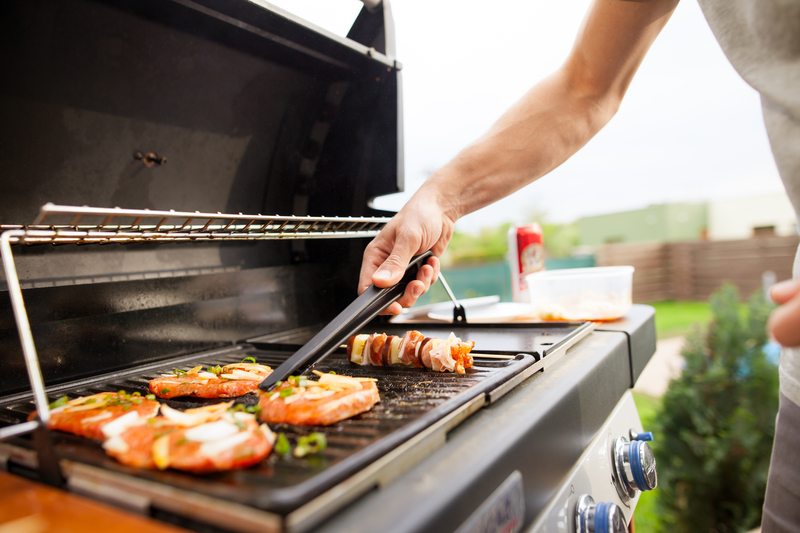 Pay attention to overhanging tree branches when you set up your grill. Before the season’s first barbecue, check the gas tank hose for leaks by applying a light soap and water solution to the hose and then turning on the gas. If there is a propane leak, the solution will bubble.Other signs of a propane leak include the smell of gas near the barbecue or a flame that won’t light. If you use a charcoal grill, only use charcoal starter fluid. If the fire starts to go out, don’t add any starter fluid or any other flammable liquids to the fire.